A complete guide to taking AMEB practical and written music examinationsin 2019 including the new piano syllabus. 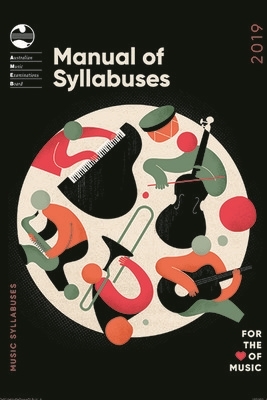 This detailed collection of music syllabuses outlines the requirements for taking exams at all grade and diploma levels including the syllabus objectives, repertoire options, technical work and additional requirements. This publication includes written exam dates, general requirements, test requirements, regulations, successful candidates, and complete syllabus requirements for all music subjects.